Goal of Losing: Resolutions. Remember Those? Before I get in to my resolution talk, I want to announce that I am completely killing my workout plan for this week! I made my long awaited return to the gym on Monday after a few months off and went back again last night. I am not doing the C25K program at the gym like I had originally planned because I was actually ahead of where I thought I would be. I didn't think I would even be able to run for a minute straight but it turns out I didn't lose everything from my time off from the gym. 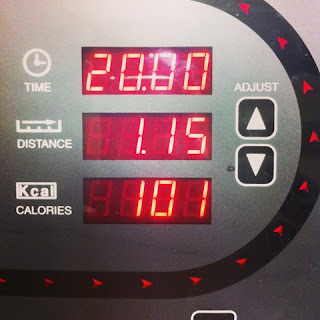 I was able to kick out 5 minutes of running with a couple minute walking intervals in between. I'm not pushing myself too far this week since it is my first week back, but I look forward to slowly increasing my time. Before my miscarriage in November, I was working on my fastest mile. I want to build my endurance back up before trying that again. The beginning of February has come at me quite fast. It almost always does with my birthday being on the 4th. Before I get too far in to February, I would like to look back at the New Years Resolutions that I made for this year. Do you remember those? I am trying to keep mine in the front of my mind. I will be reaching my goals this year! My goal weight is 168 lbs. I began my weight loss journey at 268 lbs. It has been a goal of mine since Spring of 2011 to lose 100 lbs. I have done well at losing a majority of my weight and maintained it through the year of 2012. Now, it's time to lose, again! After having a miscarriage in November 2012, my husband and I decided that we would like to try to get pregnant again at some point in our future. With that in mind, reaching my goal weight is something I would like to do sooner rather than later. 2. Eliminate credit card debt. Since I would like to begin trying to conceive sometime in the future, I would love to take that next step while being credit card debt free! There is a large amount of our money going toward our credit cards each month. Once we eliminate that debt, we will actually have money to put in savings for a change. 3. Enjoy life, just as it is, right now. I want to work on taking some time each day to take a deep breath, step out of myself for a moment and look around. I want to take time each day to enjoy my life, just as it is, right now. My husband and I are blessed with a wonderful home, pets and careers. We enjoy coming home to one another, making dinner and relaxing at night. I know this is something we should be cherishing each day because it will not always be like this. One day, we may have a child to come home to and take care of; I know our lives will change a lot once that day comes. While I am excited to one day start our family, I know that now is the time to enjoy each other, just as we are. I am down from 239.6 lbs. at the end of December to 233.4 lbs. as of yesterday. That's 6 pounds down for my first month. I'll take it! My husband and I have transitioned in to a new way of spending. We take out enough cash for two weeks to cover groceries and gas. We have envelopes for each, and only use the allotted amount; once it's out, it's out. So far, these past couple weeks we have been using less than what has been allotted. The extra money is our fun money; there is an envelope for that, too! When I save on groceries, we get to have more fun! It makes meal planning even more exciting. I think this will also help us stay on track for paying off our debt. I don't know that I haven't been enjoying every day just as it is, but I am working on it. I think that I have ended the month of January better than I began it. Definitely feeling less stressed and more balanced! Did you make resolutions this year? How are you doing with them? Remember each day is a new day to work toward your goals! This is a great idea to keep your resolutions in the forefront of our minds. Life can easily get in the way and soon we've forgotten we even made resolutions in January. Great job!